A vital step toward success, with your window treatments in Cornelius, NC, is selecting the right expert to get the job done. Here at Sweet Shutters and Shades, we have earned the flawless reputation that we have as a local Cornelius shutter company by going above and beyond to offer exceptional results. The satisfaction of each client we work with is always our number one priority. The only way to achieve this is to listen to the goals that you have for your window coverings, and then work towards achieving those goals. It should never be about trying to talk you into mass-produced overstock that doesn't suit your style, yet this is the approach that the average so-called industry-related pro takes. That is why our method works so much better. We provide you with a free in-home consultation and find out what you want, whether that means shades, shutters, or window blinds in Cornelius, NC. We show you samples, so you can see how your possible choices could look. Then we provide you with quality customization and installation for the best in quality window treatments. This is an ideal choice for optimal privacy. While the slats and louvers are still fully adjustable to let in as much light as you would like, it is also ideal for helping you retain your privacy. 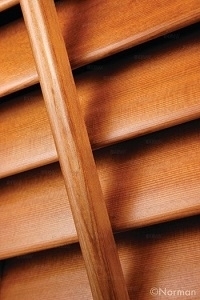 Shutters are the perfect option for both thermal and sound insulating capabilities. This will help with the energy efficiency of your home, which lowers the energy bills and makes your home more eco-friendly. Plus, both this insulating features will help you to better enjoy your home. Of course, it doesn't hurt that this will enhance both the interior design aesthetics and the exterior curb appeal, since your window treatments can be seen from both inside and out. This also enhances the overall property value of your home. During your free in-home consultation, we can review the pros and cons of each style of window covering. In fact, we can even show you samples so you can see how they will look inside your home. Get in touch with our shutter company today and let us create the perfect look for you. Window Blind Company in Cornelius The bottom line is that quality should always matter when it comes to your home, right down to the window blinds you choose. At Sweet Shutters and Shades, we look forward to being able to provide you with the data you need to make an informed decision. The only thing standing between your current house and the home of your dreams is your perfect window treatments. If you are looking for an experienced Cornelius shutters or window blinds professional then please call 704-980-4303 or complete our online request form.